It takes a lot for me to leave my bed at the crack of dawn, especially on a Monday morning but that's exactly what I did this week. Instead of being sleepy and grumpy, I was actually excited. I was due to go backstage at Antonio Berrradi to speak to Revlon's Global Artistic Director Gucci Westman and Revlon's UK Nail Ambassador Jenny Longworth about the makeup and nail look. I immediately LOVED the matte red lips and nails. Well, I love any kind of matte lip to be fair. I love how Jenny did a slight cheat by applying a base coat as a top coat, it gave the nails a nice matte finish, it worked! Unlike other shows I have been to, everything was running smoothly and everyone seemed to be pretty laid back and on the ball. A great atmosphere. I could sit there all day long watching models being made up. Products Used: REVLON Nail Enamel in Revlon Red, REVLON Quick Dry Base Coat (used as matte top coat), REVLON PhotoReady Nearly Naked Makeup and Powder, REVLON Grow Luscious Lash Potion in Blackest Black, REVLON PhotReady Kajal Eyeliner and Brightener in Blue Nile, REVLON ColorStay 16 Hour Eyeshadow Quad in Addictive (for brows), REVLON ColorStay 16 Hour Eyeshadow Quad in Serene (blue shadow) and REVLON NEW ColorBurst Matte Crayon in Striking Spectaculaire which I am most excited to try! The show itself was a firm favourite of mine, the makeup and nails complimented the accent tones of red and pink in the collection really well! Again, thanks to Revlon for having me. Loving those colors, very pretty. Lovely! 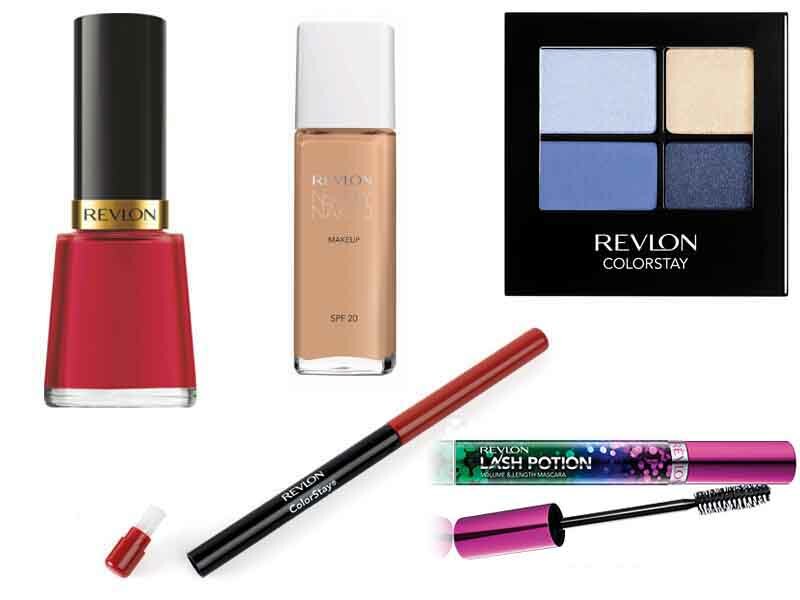 Revlon is def one of the best drugstore brands. Love the iconic red nail polish!! !